The definition of a beautiful face has never been constant. See how political and social climates have molded accepted beauty rituals and the evolution of cosmetics from ancient times through today. This updated and refreshed reference book chronicles historic trends for the eyes, lips, and face, and offers in-depth aesthetic reviews of each decade from the 1920s to today. Follow the fascinating history of cosmetic trends through vintage ads; detailed makeup application guides; and profiles of famous makeup innovators, connoisseurs, and iconic faces. Over 450 images, timelines, and detailed vintage colour palettes show the changing definitions of beauty and document makeup innovations (the first mascara, lipstick, eye shadow, etc.). This is an ideal reference for the professional makeup artist, cosmetologist, educator, student, and general makeup enthusiasts. 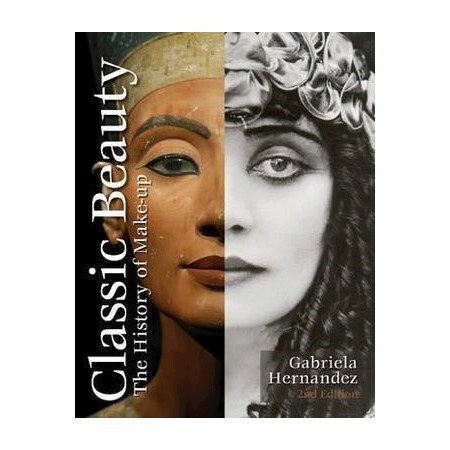 Gabriela Hernandez, is an accomplished artist, photographer, and cosmetics historian. Her photography has been published in Bon Appétit, L.A.Times, and Shape. She has served as a consultant on films such as The Artist and The Great Gatsby. Gabriela lives in Los Angeles with her husband and two children.